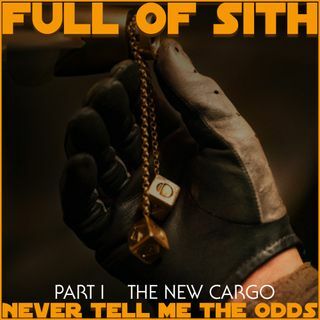 Full of Sith proudly presents this two-part podcast miniseries on the score to Solo: A Star Wars Story, focused on the music by John Powell, featuring original and new themes by John Williams Part One features a (very) brief introduction to the work of John Powell, before looking at all the new themes and motifs introduced in the film, including the first ever theme for Han Solo, the first ever theme for Chewbacca, and the musical ideas that accompany the new characters in the saga. Music in ... Maggiori informazioni this episode includes: Sail Barge Assault (Return of the Jedi) The Asteroid Field (The Empire Strikes Back) Test Drive (How to Train Your Dragon) Dangerous Ways (by Moby) Berlin Foot Chase (The Bourne Supremacy) Airport Chase (Face/Off) Transformation (Shrek) Forbidden Friendship (How to Train Your Dragon) Counter Attack (How To Train Your Dragon) The Adventures of Han Meet Han Marauders Arrive Duel of the Fates Savareen Stand-off Flying with Chewie Reminscence Therapy Break Out Train Heist Good Thing You Were Listening Lando's Closet Spaceport Mine Mission The Villains March (Superman: The Movie) The Good Guy L3 & Millennium Falcon Lando's Palace Is This Seat Taken Dice and Roll/End Credits Includes excerpts from Solo: A Star Wars Story, and Kristin Baver's interview with John Powell for starwars.com Written, produced & edited by Bobby Roberts If you haven’t already, join our new Facebook group and join in the discussions with us and other listeners at – http://facebook.com/groups/FullofSith If you like the show, please leave us iTunes/Stitcher reviews and share us with your friends and family! We’d greatly appreciate it.